Learn how you can use Swagger to ease the creation of an Angular front-end based on an existing set of RESTful services- everyone wants to make their lives easier! Let’s say you have an advanced backend system, for which you wish to develop a modern Angular frontend, or, perhaps it’s not your backend, but something public like Facebook, and you want to develop a site using some of its exposed APIs. Of course, you want to do this with minimal effort … how do you pull this off? Enter Swagger! 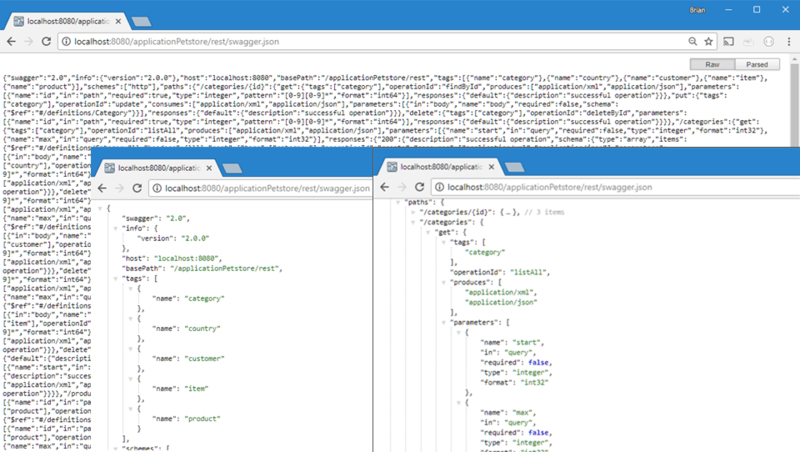 This article will walk you through the key steps required to connect an existing Java EE backend, which already exposes RESTful services, to an Angular frontend. Once you understand how these dots are connected, you can follow similar steps for other backends, or public APIs too. Would you rather learn how to do this visually instead of reading this article? If yes, jump ahead to the Webinar we presented on this subject last week. Note that we’re starting with an application that already exposes RESTful web services through JAX-RS. If your application does not already do this, you must first create services which expose data that the frontend needs to function – this is beyond the scope of this article. You can follow along with this project or your own. Add @Api annotations to resourcesWhat we want to do here is identify our REST resources which we wish to expose further with Swagger, and annotate them with the @Api (io.swagger.annotations.Api) annotation. See the following screenshot for an example: We must do this for all resources that we want to be exposed. Note: There are several other annotations that will allow you to document and customize the specification file generated, among other things. Please see this document for more details. Add specification generation code in the root of your application (or any other appropriate place) add the following code to generate the Swagger specification file. Note that the URLs I’ve used are specific to our demo application. In this part, we’ll take the swagger specification file generated in the previous section, and generate some code that we can use in our Angular frontend. We’ll use the Swagger Code Generator to generate this code. Do check if a more recent version is available before downloading. Note that we are pointing to the same Swagger specification we obtained in the last section. The output of this command is a number of TypeScript files, including models and API code. The models in the model folder are a representation of your RESTful resources in TypeScript. The API code in the api folder is responsible for actually making the calls to the exposed endpoints, and dealing with the responses returned. 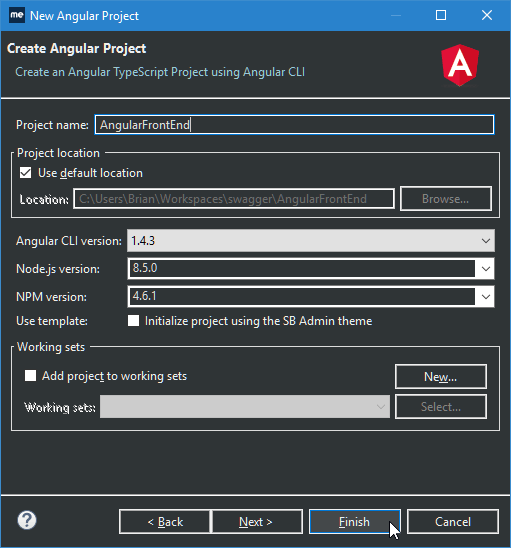 With Angular IDE or MyEclipse, creating an Angular application is easy, even if you don’t have Node, NPM or the Angular CLI installed – we’ll download everything for you as part of the project creation process. 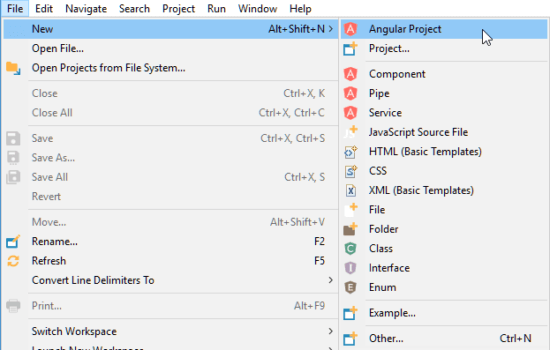 Following are a few highlights, covering Angular project creation, as well as key pieces of code. The code below can be found in this project. Observe the following snippets of code which use the generated Category model as well as the CategoryApi class to display a list of categories. Of course, this code is specific to the Swagger specification file that we fed into the Swagger code generator. For more info on what Swagger can do for you, check out our “Using APIs with Swagger” webinar which covers these topics in more detail. 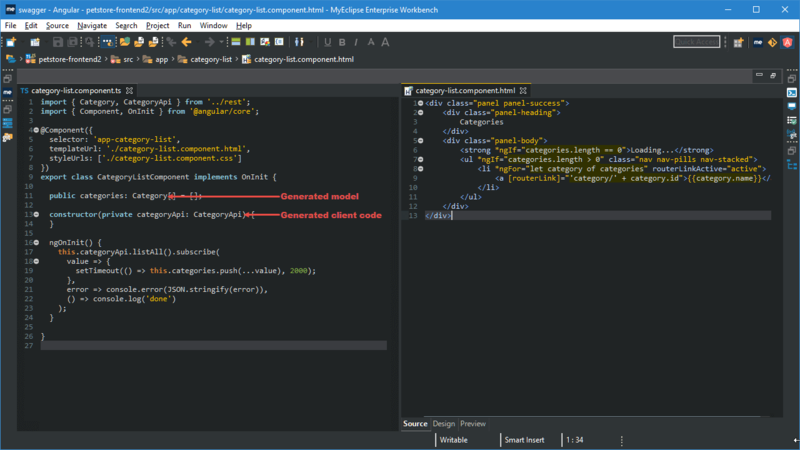 Angular IDE: Optimized for developers to make the most of Angular, advanced validation, content assist, debugging and more. 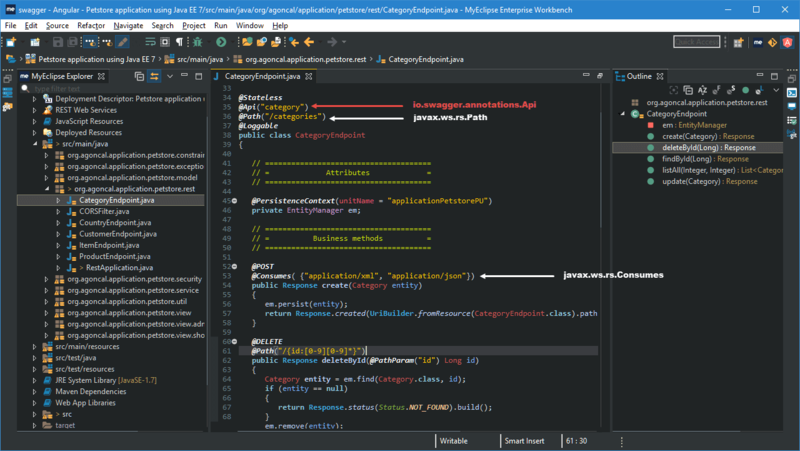 MyEclipse: A single Java IDE that includes the best tools for the full stack developer to create a dynamic frontend along with a powerful backend. Published at DZone with permission of Brian Fernandes , DZone MVB. See the original article here.